The concept of harnessing unlimited energy that has been a part of our ancient folklore and fiction might soon become a reality. A new, seemingly unlimited energy source could open up a plethora of possibilities for a world reeling from wars, economic sanctions, terrorism and natural disasters. Unlimited energy will indeed find a lot of takers. The Energy Information Administration predicts that global energy consumption will grow around 56% between 2010 and 2040, most of this growth being attributed to non-OECD countries. Going by current projections, we find that use of fossil fuels is not going to reduce anytime soon. So how do we tackle the rising average temperatures, air pollution, oil spills, acid rain and soil erosion? A clean and plentiful energy source could be the solution to all these issues. But, do we have something that we could call ‘Unlimited Energy?’ And, is the world ready for unlimited energy? We have a rich and abundant energy source that is available in our own backyard. As per the data from ucsusa.org, the energy generated by 20 days of sunshine is equivalent to the energy obtained from the entire global reserves of oil, coal and natural gas. Impressive indeed! There is little doubt as to why Google decided to invest $300 million for supporting at least 25,000 Solar City Corp’s rooftop power plants. In fact, investments in electricity generation from the sun increased by 25% in 2014, with China being the global leader in this. 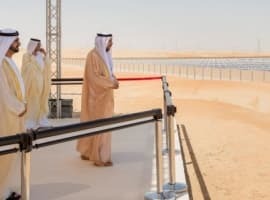 Rattled by volatile oil prices and growing need for energy security, countries like China, Germany, the UK, the US, Japan and India are making significant investments in renewables, especially solar energy. Another driving force behind these investments is the rapidly falling cost of solar equipment, making it more affordable than before. In the US itself, the average annual cost of a single photo voltaic panel has reduced by 11% to $2.71/W in 2014. As per SEIA’s annual report, the top 25 corporate solar users in US have installed more than 569 MW of capacity at 1100 different locations across the country. It is interesting to note that by the end of 2014, nearly 600,000 US homes and businesses had gone solar. 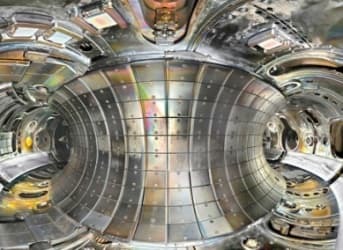 Lockheed Martin, the defense giant, is currently working on a prototype fusion reactor that promises to deliver clean and unlimited energy that could take us to Mars in just one month. Fusion is a process in which the ions that are separated after heating a gas collide and fuse together, thereby releasing energy which is about 3-4 times more powerful than a typical nuclear fission reaction. When compared to nuclear fission, fusion is a much cleaner and safer energy that does not produce any waste. Related: Has The U.S. Reached “Peak Oil” At Current Price Levels? The idea of creating a compact fusion reactor is to mimic the energy of the sun by creating and using heat energy in a controlled fashion. Once developed, compact fusion could actually change the way we live. The team at Lockheed Martin believes that the compact nature of its fusion reactor would make it ideal for running future power stations, commercial ships and powering space travel. The biggest USP of the Lockheed Martin approach is its high beta concept which allows the size of its reactor to be 10 times smaller than the previous concept. Imagine a reactor that can be housed in a truck, capable of providing power to about 80,000 homes in the United States. The best part is that the reactor would require less than 25 kg of fuel to run an entire year. What happens when something as revolutionary as Compact Fusion becomes a reality? 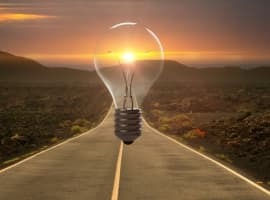 A new unlimited energy source could usher a new era of technological revolution, where machines, super computers and power plants would run on a new, unlimited alternative source. Imagine a world that generates less waste through electricity production processes. The US, China, India, South Korea, Germany, France, Spain and Japan can substantially reduce their oil import bills and utilize these resources in areas such as infrastructure, healthcare, social welfare, technology and education. Could the world cope with a new cheap and plentiful energy source? Normally it takes people a certain amount of time to realize that a revolution is underway, when they hear about it in newspapers, television and websites. Also, it often happens that technology evolves into a necessity and eventually becomes cheap. Today Royal Dutch Shell earns $476 billion per year selling oil. If compact fusion replaces oil, these revenues would gradually disappear as the transition to a fusion-based economy develops. Were the Lockheed Fusion reactor design to prove viable and affordable, they would corner the global market, at least initially. However, as time goes by, competition would heat up and there would be other corporations with their own versions of a compact fusion reactor. As a matter of fact, companies such as Helion Energy, Tri Alpha and Lawrenceville Plasma are already working on similar reactor designs. Therefore, it is highly unlikely that any particular corporation would be able to monopolize the energy markets of the future. The biggest beneficiaries of a new unlimited energy source would be common citizens as they will save what was earlier spent on fossil fuels. This money could be spent on buying essential commodities, healthcare and luxury goods. The aviation sector would change irrevocably if large aircraft could house a fusion reactor and be able to fly for a year without any refueling, practically decimating travel costs. The public would eventually embrace this new technology; however this transition would not be as smooth as it sounds. Could an almost limitless energy source crush the global economy? A sudden spurt of abundant energy might crush the global economy. The US, which has close to 600,000 oil and gas workers, could potentially lose around 300,000 jobs within the first few years. A new unlimited energy such as compact fusion would eventually eliminate the majority of the energy jobs from the market, resulting in a global recession. Corporations related to the oil, gas, coal and electric power generation sector would be the hardest hit as conventional energy would become cheap and dramatically reduce the demand for harder to reach and more environmentally costly fossil fuel projects. However, the sudden burst of unemployment caused by a new energy source would be compensated for with the creation of new jobs in the shipping industry, operating the fusion power plants themselves, maintaining power grids, as well as the water and space industries. 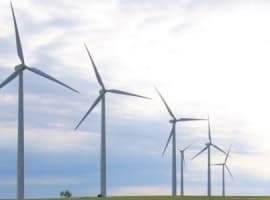 The New Climate Institute and Climate Action Network predicts that renewables would save up to $520 billion a year and generate close to 3 million new jobs. “All the forces in the world are not as powerful as an Idea whose time has come”. Unlimited energy could be an idea whose time has come. With a long spell of low oil prices and rising global crude inventories, we are witnessing how oil and gas corporations such as Schlumberger, Weatherford, Halliburton, Baker Hughes, Cairn and others have been slashing thousands of jobs in order to reduce their spending budgets. A total of 75000 jobs related to oil and gas sector have been lost in 2015. Apart from falling headcounts in the conventional energy sector, we are witnessing how countries are increasing their investments in renewables and technologies such as compact fusion. Take Russia for instance, which has invested an undisclosed amount in Tri-Alpha energy through its state owned venture group. In a similar fashion, physicists from Iran are collaborating with Lawrenceville Plasma Physics for developing an ‘aneutronic fusion process.’ Even China and the UK have signed an MOU where the scientists and engineers of the two countries will take part in joint experiments on their respective fusion devices. Countries such as the US, the UK, Russia, China, Iran and others are silently preparing themselves for a world without fossil fuels. Ban Ki Moon, Secretary General of the United Nations, once said “Saving our planet, lifting people out of poverty, advancing economic growth... these are one and the same fight. We must connect the dots between climate change, water scarcity, energy shortages, global health and food security. Solution to one problem must be the solution for all”. Could a seemingly limitless source of energy connect these dots? Only time will tell…. Rig Count Data Shows Gulf States Cranking Up Pressure On The U.S.
2. the developments you speak of wont happen overnight. The internet is the latest and greatest technology displacing example and it has taken over 20 years for the displacements to take place. In essence , yes the technology will displace jobs but not overnight. Just as the internet has transformed music , video, social media and shopping. Cheap plentiful energy will transform the energy landscape but perhaps, just perhaps it will supplement our energy landscape just as online shopping can go hand in hand to supplement brick and morter stores. The one thing to keep i mind- who will distribute this power. Tats why invsting in utilities might seem to be a good play on this news. Sounds like more cargo cult, mythical thinking that ignores any limits to growth...unlimited energy would only exacerbate the overshoot and collapse scenario we already seem to be caught in. Just absurd.... energy is not the only finite resource we have.... a limitless energy source will require growing amounts of all other raw materials that are of course limited... where will we find limitless land, water, ores, phosphorus... this just does not make sense at all. Fusion will displace oil and gas very quickly if the economics make sense. Resources take huge amounts of energy to develop and thus resources would skyrocket with cheap energy, do you know how much energy it takes to make aluminum, lots and lots. In fact automated drones and manufacturing powered by fusion reactors may make resources darn close to unlimited, we live on a HUGE HUGE HUGE rock of resources, most of which humans have never explored. Batteries will quickly become more economical than gas, cars will transition to electricity fairly rapidly. Water will be cheap to desalinate and pump to dry areas and human labor will become less relevant more quickly. My pessimistic though is someone will find a was to make war with unlimited energy. It is the third oldest profession. And you know as well as I Gaurav that a compact fusion reactor gets us both off the planet and living on new planets. With unlimited energy (and other things like synthetic biology among others), we would be able to do so much more, terraforming at will in a sense. Beyond that, we can hardly imagine. But unlimited energy vastly accelerates practically all fringe technologies, unlimited energy makes possible quantum computing as an example. It seems that you've got more info than you've shared, Gaurav, hit me up to discuss. I'm an independent oil producer who would of course be decimated (90% oil right now) if this came to pass. At some point, I'll have to gamble the whole big enchilada on black or red if I want to survive....always looking forward. The world will come to.realize.that the capability to divert asteroids will become a necessity. Maybe.fusion will help to make it a reality. I expect it will take a backyard tinkerer to come up an with unlimited energy solution. The US Government has invested billions in hot fusion, not a watt has been produced and Lockheed is a favored son in that. I don't expect anything to materialize there.